A series of branded retail restrooms designed to enhance the customer experience in an often overlooked and unexpected space. Based on observation, retail stores seldom attend to the design of their public restrooms, as they are deemed irrelevant to the brand’s product experience and only prolong the restroom occupancy. 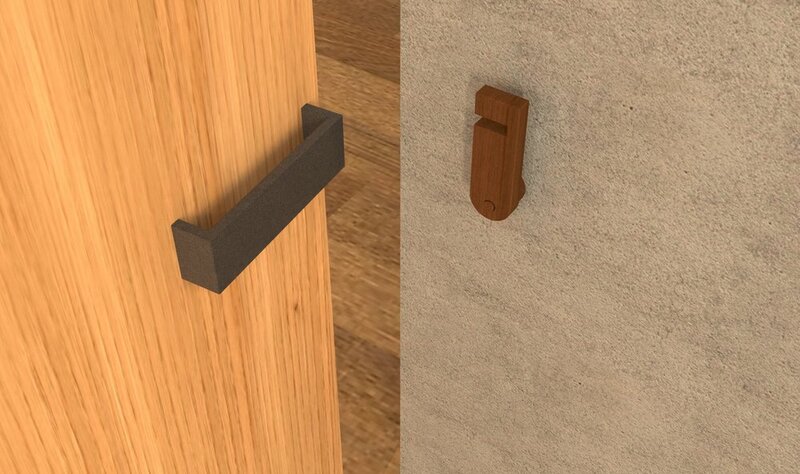 However, I see the private space as a design opportunity that enables customers to discover unexpected details about the brand and thus retains a more holistic and lasting impression. 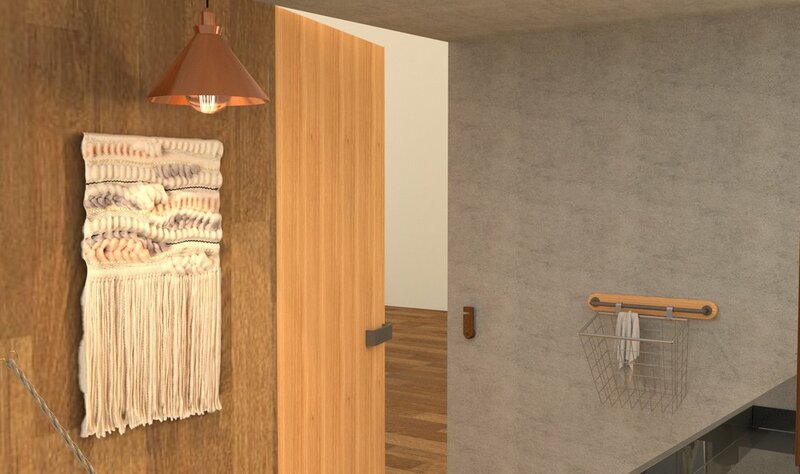 This project studies three brands—Eileen Fisher, Van Leeuwen Ice Cream, Google—and proposes a one-person restroom design that explores each brand identity in an unexpected space. This women’s clothing brand is reputable for spearheading the sustainable fashion industry. As such, at my visits of their SoHo store and the recently opened Making Space in Red Hook, the brand’s elegant apparel is translated rustically through second-hand furniture, earth-tone colors, and natural materials. Notable elements from the Making Space include featured works from the company’s Artist in Residence program. 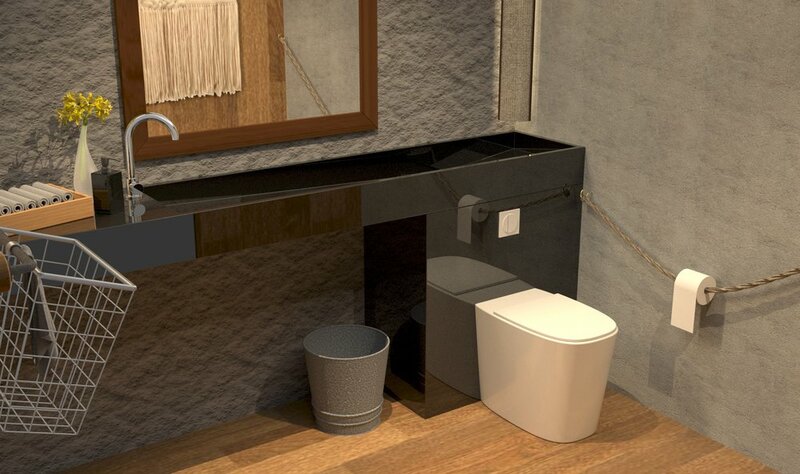 While preserving the cohesive rustic visual and featuring an artist piece, my proposal elevates the brand’s sustainable efforts by incorporating a seamless grey-water flush design. Having already established their unique tasty flavors, the Brooklyn-made ice cream company stands out even more with Pentagram’s rebrand that introduced inviting, pastel-colors for their packaging. Though the brand successfully makes an eye-catching shelf impression, Van Leeuwen’s current ice cream stores in New York fall short on maintaining a cohesive brand image. 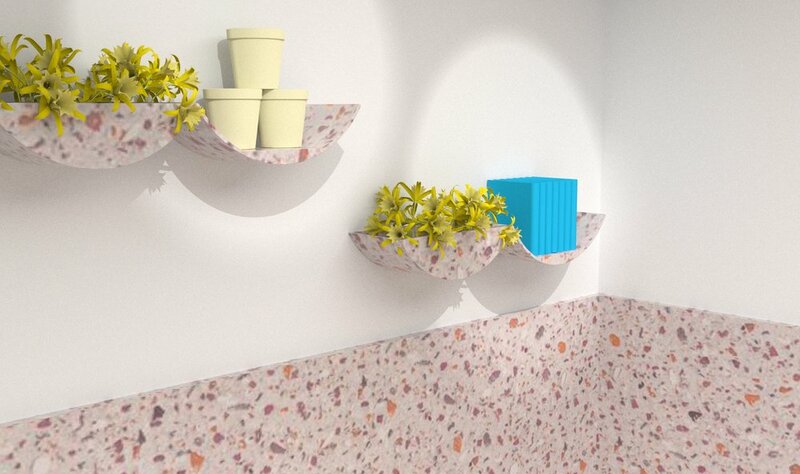 This proposal is a personal reinterpretation of Van Leeuwen’s retail store aesthetics. 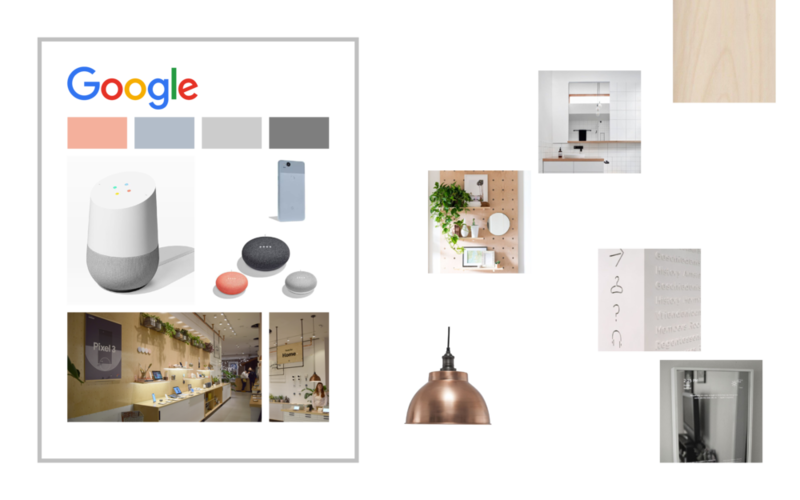 As Google expands its product line, the tech giant increasingly showcases their technology through the interactive marketing strategy of pop-up stores, most notably the “Google Hardware Store” in SoHo, New York. 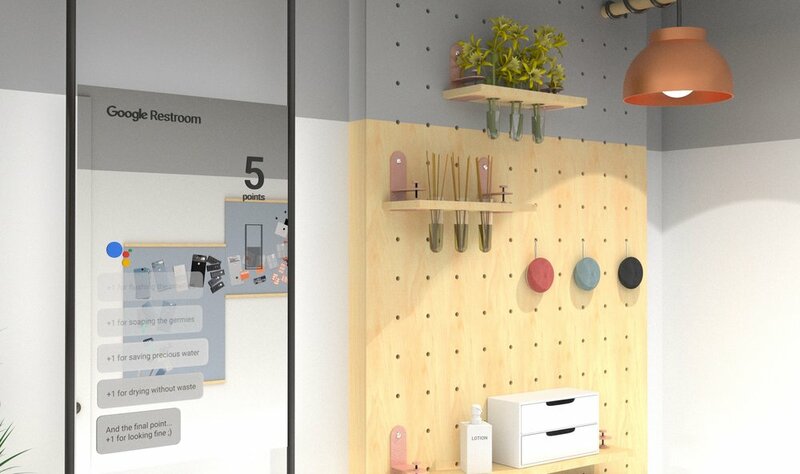 The pop-up is playfully designed as a chic DIY makerspace, demonstrating product capabilities through interactive playhouse-like rooms. Visually, the displays incorporate the material combination of pale wood and white walls/panels, which pairs well with Google product’s muted colors, notably choral and ash blue. 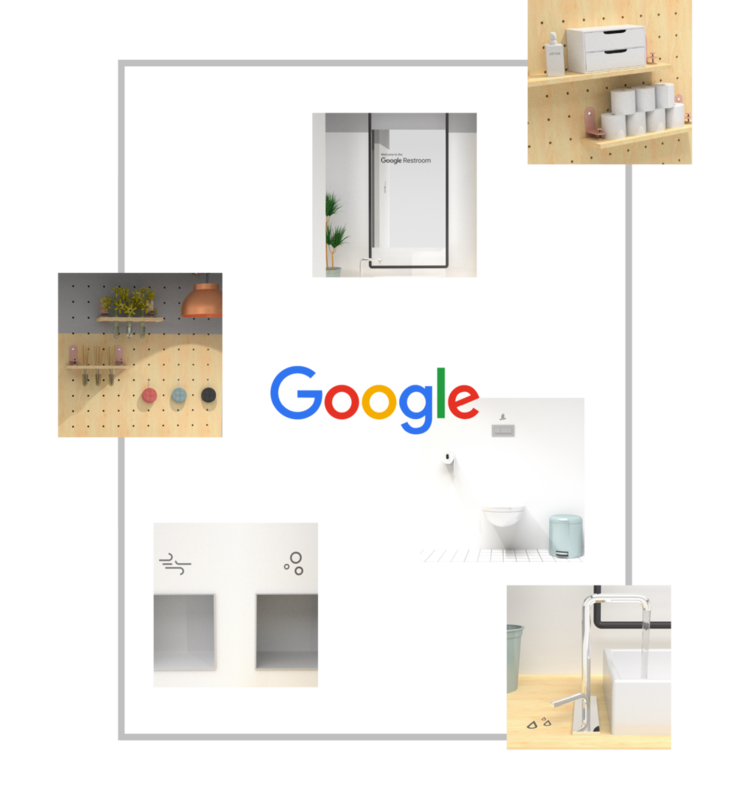 Other than aesthetically carrying through the pop-up’s use of color and material, my proposal additionally includes a speculative product,the Google Mirror. 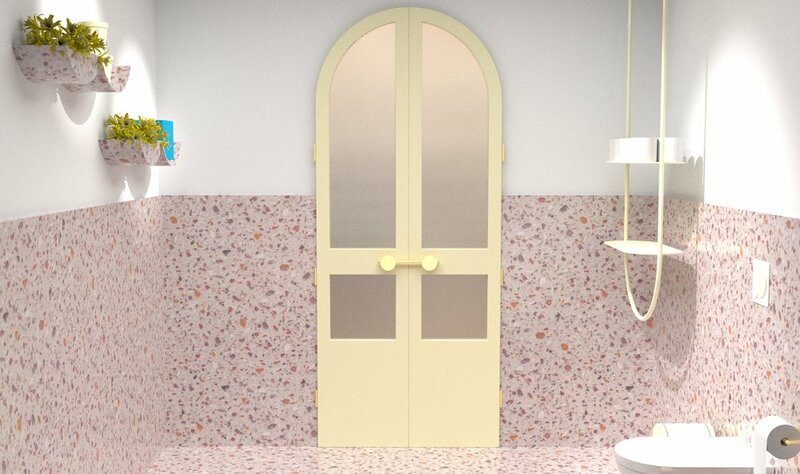 It celebrates good restroom behavior by inviting users to play a score-game upon entering the space. Savanna Li and Emily Fang as design consultants. Professor Brian James as Rhino software consultant. Cissy Yuan as industry consultant. Grace Yoon as copy editor. This personal project could not have been completed without their expertise, critique, and support.